Zaanse Schans is a bucolic Dutch village with historical houses and working windmills near Amsterdam. Come see what life was like in the 17th and 18th centuries! Zaanse Schans is a popular open air attraction about 15 km northwest of Amsterdam. It features numerous historical houses and windmills, many of which are open for visitors. Zaanse Schans is the perfect choice for an active bicycle tour, but you can also reach it quickly by train. 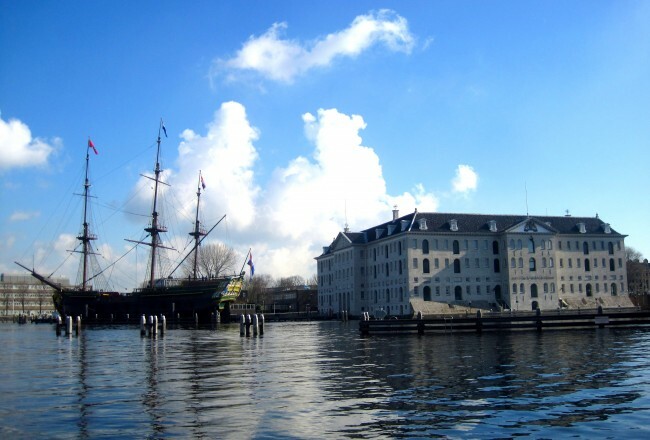 It is a perfect day trip from Amsterdam for the whole family. Although Zaanse Schans looks like an original Dutch country town, most of the historic buildings were actually located elsewhere and were moved to this spot between 1961 and 1974, creating an open air museum. These old buildings and windmills were threatened by urban expansions, so a foundation was created in the 1950s to preserve these historical structures. The Zaanse Schans is open all year, is free of charge and can be experienced and appreciated by the whole family. 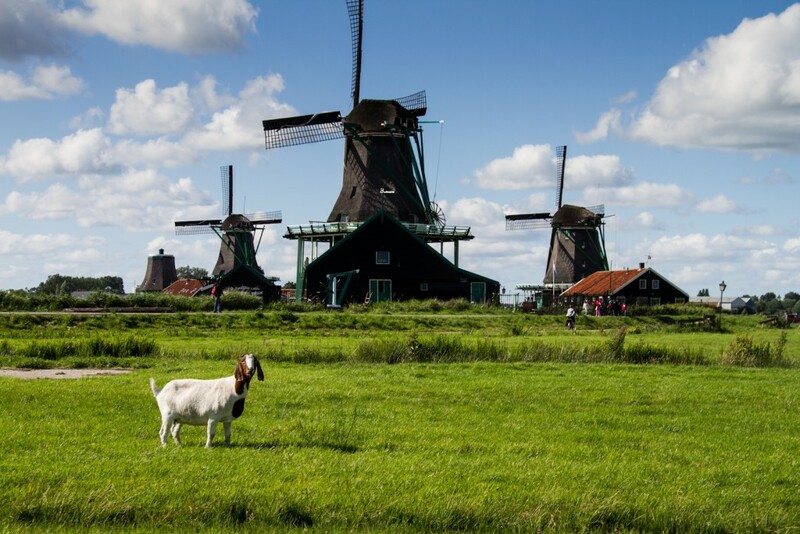 Come see what life was like in the 17th and 18th centuries and explore these windmills near Amsterdam. Book tours & activities with GetYourGuide. GETTING TO ZAANSE SCHANS BY TRAIN: From Amsterdam Centraal, take the train heading to Alkmaar or Uitgeest and after about 20 minutes get off at Koog Zaandijk. From there, follow the signs to Zaanse Schans, a 10-15 minute walk through town and across the Juliana bridge. Hopefully you like chocolate, because often the walk smells of cocoa from the nearby factories. YUM! GETTING TO ZAANSE SCHANS BY BOAT: In the summer months you can take a ferry boat to Zaanse Schans from Amsterdam Centraal station. Get your tickets here. GETTING TO ZAANSE SCHANS BY BICYCLE: There are various bicycle routes to Zaanse Schans from Amsterdam. The round trip is approximately 35-40 kilometers, but if you are not up for that it is also possible to take your bicycle on the train part way, one way or both ways for €6 per bicycle. See above for information about the train route. If you love cycling and are lucky enough to have a day with pleasant weather, grab your bike and head to the ferry behind Amsterdam Central Station. Begin your adventure with a (free!) ride across the IJ to IJpleinweer. Once across the water, head northeast along the Buiksloterweg to begin. Follow one of these routes or create your own with Google Maps. Once there, from April to September you can rent an electric boat or take a 45 minute boat tour with Rederij de Schans along the River Zaan. Zaanse Schans is a lovely picturesque village that gives an idea of what life was like a few centuries ago. Wander through the town and take in the views, then visit the exhibits and windmills that interest you. 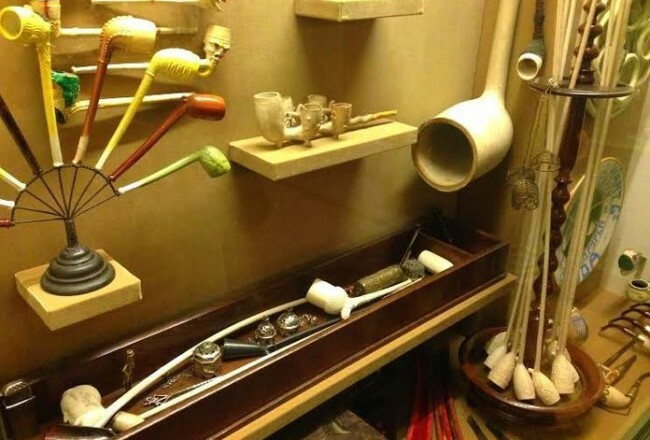 To learn more about the area, check out the Zaans Museum. The museum has a variety of displays about rural Dutch life in the 17th and 18th centuries. Regular admission is €10, but there are also combination tickets which allow entry to several other attractions and exhibits like the windmills. Most exhibits in Zaanse Schans are open daily in the summer but only on weekends in the winter. Again, check the website for the most up-to-date information. The star attractions of Zaanse Schans are the eight windmills which are still in operation grinding pigments into paint, sawing wood into planks and making oil from nuts and seeds. A few of these are open to visitors, where you can see the gears turning from the invisible power of the wind. 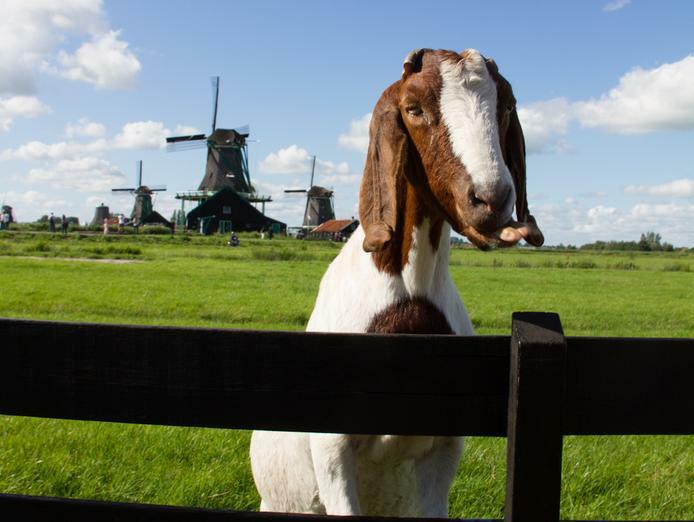 In addition to the lovely windmills, check out the craftsmen creating clogs from blocks of wood, taste liqueurs at the distillery, and visit the cheese farm and cheese shop. The first Albert Heijn store is also here. 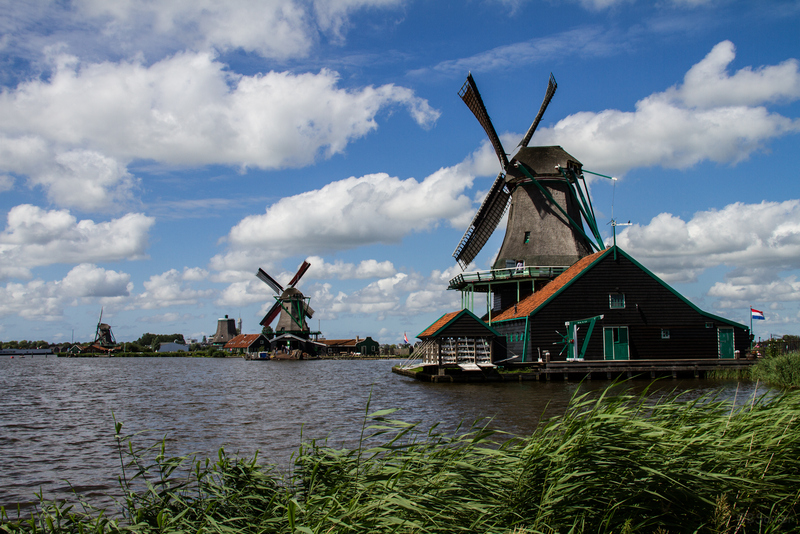 Head to Zaanse Schans on a beautiful, breezy day to check out this idyllic village and see working windmills in action! Are you a fan of windmills? Read more about WINDMILLS IN AMSTERDAM some of which you can visit.